The fire started on the couch of her apartment on Shawmut Street, according to a spokesman for the State Fire Marshal's Office. 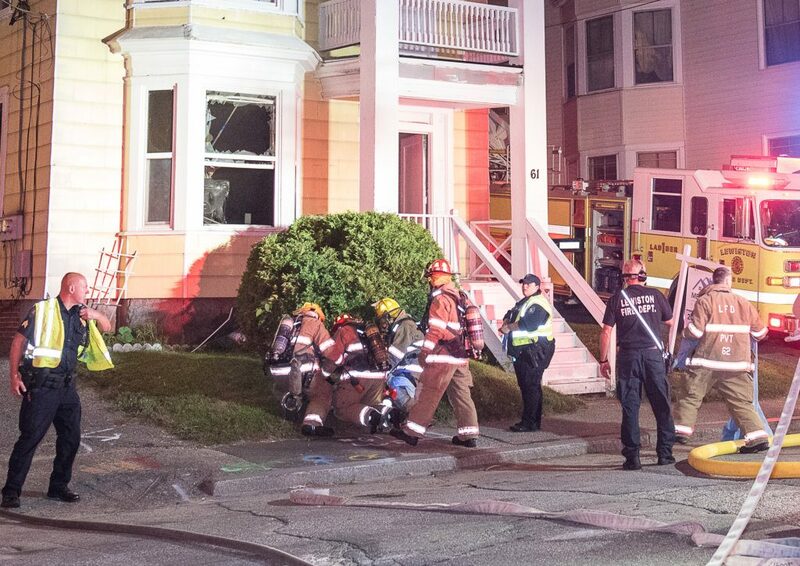 LEWISTON — A local woman pulled to safety by firefighters Thursday night from her smoke-filled apartment had been smoking while on oxygen, authorities said Friday. Rosalie Coulombe, 74, was in the bathroom of her first-floor apartment at 61 Shawmut St. when firefighters found her unresponsive at about 8 p.m. The fire started on her couch, where Coulombe had apparently been smoking, according to Stephen McCausland, a spokesman for the State Fire Marshal’s Office. Coulombe was taken to Central Maine Medical Center, where she was treated for smoke inhalation and internal injuries. A hospital spokesman said Friday that no information on her condition was being released at the request of her family. Neighbors said they believed the woman lived alone in the apartment. Local fire department investigators were joined by the State Fire Marshal’s Office to determine the cause of the fire.